Absolute Beginners has been designed to tell you everything you need to know from the very first time. A look and learn course that uses clear pictures instead of long explanations. Practical advice and tips covering everything you need to know to get playing, fast! CD audio tracks to show you how things should sound, plus full length accompaniment tracks to play along with. 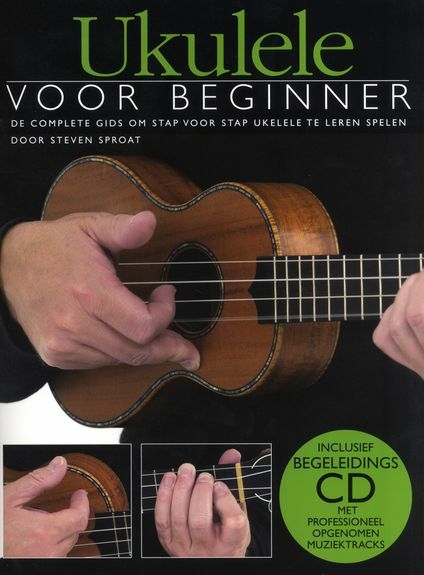 Written by Steven Sproat who is a ukulele player with considerable experience. He has broadcast on many radio stations including BBC Radio 2 and BBC Scotland. Steven has played at prestigious venues such as Ronnie Scott’s in London, the Cheltenham Festival and the New York Ukulele Festival and is also a teacher – his most famous pupil being comedian Harry Hill! For Ukeleles in standard GCEA tuning.